Special Olympics have given so much to my brother throughout the years, that it is time I gave something back. My brother Mike is a Special Olympics Ontario athlete who plays Floor Hockey (Milton Ducks), Basketball (Milton Scorpions), Softball (Milton Muddawgs), and is a part of Special Hockey International (Mississauga Crusaders). Mike is my hero. Throughout my life I have always been inspired by the way he sees the world and the happiness he shares with everyone he meets. He motivates me to be a better person every day. 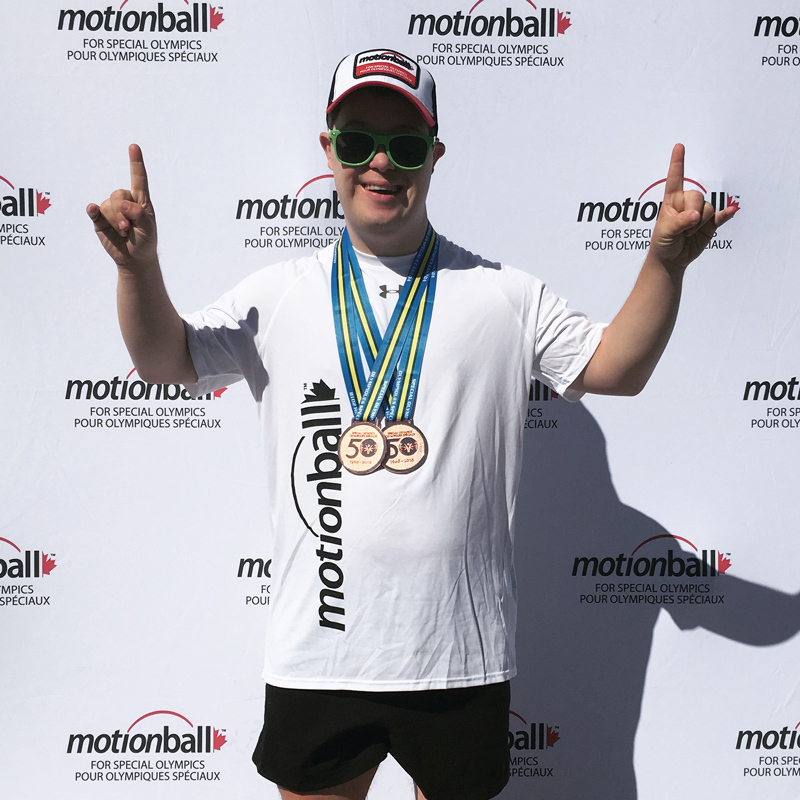 This year, my friends and I put together a team to raise money for Special Olympics and compete in the Motionball tournament where we will compete against other teams in a variety of different sports. All teams will be joined by Special Olympic athletes and this year we got so lucky because my brother, Mike, is going to be on our team! We are excited for a day of fun and hope that you will help contribute to this great cause.